Pediatric Ophthalmology is a sub-speciality of ophthalmology dealing with problems common to, or seen exclusively in children. 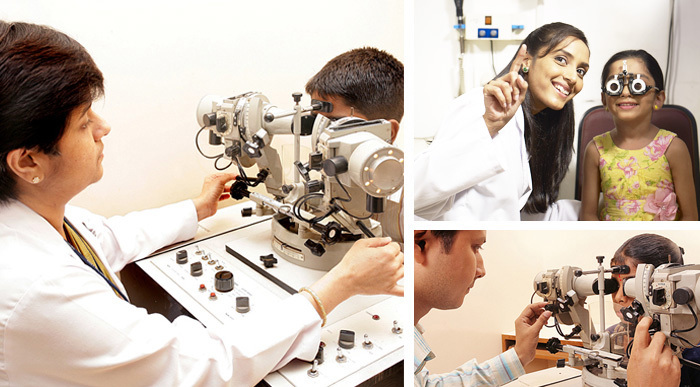 At Rajan Eye Care Hospital, our comprehensive eye care covers such treatment in a child-friendly environment. If your child is having difficulty with a vision screening exam or has problems reading or learning, or needs surgery or medical treatment for an illness affecting the eyes, our team of pediatric ophthalmologists headed by Dr Bina John has the experience and dedication to provide your child with the best solutions for perfect and trouble-free vision.